Now that the Madoff lawsuit is behind the Mets and their secret loan to MLB is paid off, it’s time to extend David Wright’s contract and make sure that he’s a Met for his entire career. The Mets paid off their bridge loan last week after the Madoff lawsuit settlement and closed on the sale of 12 shares of the team. So the financial “uncertainty”, as we’ve heard it referred to by the Mets, has been removed. They’ve started to settle their debts but they haven’t paid us back yet. The fans. They owe it to us to keep Wright with the Mets for a long, long time. The Mets let Jose Reyes walk away for nothing because of that financial “uncertainty”. And they can’t let that happen again to Wright. I know this post is a little late since the Mets announced that they’ll add John Franco to the Hall of Fame three days ago. But I wanted to make sure that I noted this event because Franco joined the Mets in 1990 so, presumably, there won’t be any more Mets from the ’86 team joining the Hall of Fame. But the importance is that Franco played 14 years with the team and closed for most of them. He could be shaky as a closer but he usually got the job done until he moved to set up relief in 2000. January 26, 2012 – The New York Mets today announced that John Franco, the club’s all-time leader in saves and games pitched, will be inducted into the Mets Hall of Fame during the Mets Hall of Fame Induction ceremony presented by Citi Sunday, June 3 prior to the 1:10 p.m. game against the St. Louis Cardinals. 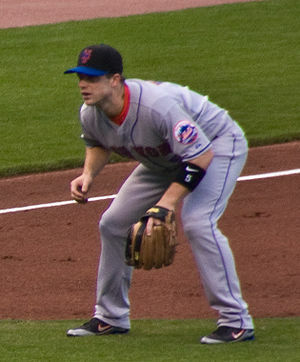 Franco saved 276 games for the Mets over his 14-year career (1990-2004) with the team, the second-longest in franchise history behind Ed Kranepool’s 18 years of service. The four-time All-Star compiled 424 saves during his career, the fourth-most in major league history and the most by any lefthanded reliever. Former Mets closer Johnny Franco called out David Wright and the Mets for lacking leadership from the players. Franco said he’s spoken to Wright about taking a more active role as a leader on the team but it hasn’t worked. The interview was on Sirius XM Radio and covered the current state of the Mets as well as other topics. But Franco’s comments about the lack of leadership on the team, and Wright specifically are garnering national media attention. Wright told reporters that he’s unconcerned about what anyone outside of the Mets organization says. This isn’t a new line of discussion. Every one of us that listens to sports talk radio in New York has heard this before. I’m a little surprised that Franco would come out publicly with this line of discussion after doing some work for the Mets this spring. I guess he doesn’t plan on doing any further work for them in the future. My take on this is that if I was a 35 or 40 year old player on the Mets, I wouldn’t necessarily look at Wright as a leader on the team either. Sheffield has 500 home runs and Delgado is knocking on the door. 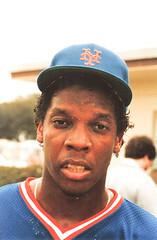 Even Livan Hernandez was a World Series MVP. Beltran is a 4-time All Star, Rookie of the Year, with three Gold Gloves, and two Silver Sluggers. This just isn’t a team that every player is going to look up to Wright at this point in his career. On a team with a different makeup, I could see Wright being a leader. On a younger team like the Pirates or Rays, I’m sure he would be a leader. But the Mets are a team with some veterans that have serious resumes. Franco should recognize that fact too because he was a veteran with a serious resume at one point himself. Several media outlets are reporting that Johnny Franco will be back in a Mets uniform during the week of March 8th in Port St. Lucie. He’ll be doing a guest coaching gig for the week. It’s great to see Johnny come back, since he left the Mets after 2004 with some ill-will toward the team. He wanted to play one more year but the Mets didn’t see him as a fit.It turned out to be a good decision as he pitched in 31 games for the Astros in 2005 to a 7.20 ERA. Franco is #4 all-time in saves and was the last team captain that the Mets had. He’s a tremendous leader evidenced by becoming a team captain as a relief pitcher. Generally, pitchers aren’t team leaders. It’s usually everyday players. Especially for a relief pitcher to become a captain is very impressive. I’ve heard Johnny on WFAN occasionally and he does a decent job. But he should bring some terrific knowledge to the table for the Mets pitchers. Franco is interviewed on Fox’s Best Damn Sports Show. It’s disturbing to have to look at David Wells sitting next to Franco but I tried to look past that. The highlights include talking about ordering pizzas in the bullpen at Shea and growing a garden with bullpen coach Joe Pignatano.